A few interesting things here. 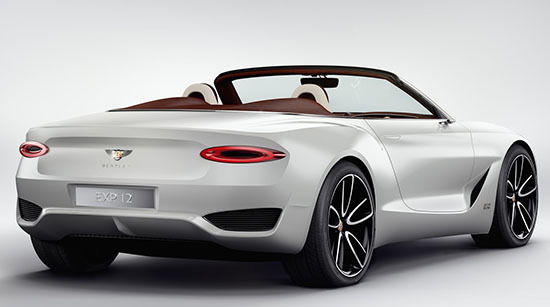 Besides that fact this is a very rare case of a convertible EV. Which is great. The powertrain is actually a preview of what is coming in Bentley's upcoming "Smaller than Bentayga" SUV. And all of their models will have a Plug-in option starting with the Bentayga in 2018. 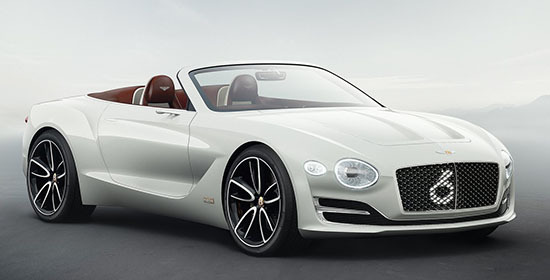 Also the design seems to be a rather accurate preview of the next Continental GT coupe. From the spy shots we have seen so far. And at last, they seem to get rid of the horrible square tail lights they've been using lately. This oval LED design is much better and distinctive. The next GT should be quite a good looking car. As for the interior, this is a bit much for me. There should be a certain simplicity to a classy upscale interior. This is the opposite . Let's hope the production version interior ends up better. Much better. Otherwise, I have high hopes for this to be my next car. LMFAO. You really can afford a Bentley, Vince? Thanks for the laugh.